As the crow flies, it is a mere 750 miles between the cities of Canterbury in Kent, and the Slovakian capital of Bratislava. No big deal, you may think, but this journey is to be made not by one of our feathered friends, but by two young engineers who have decided to raise money for charity by taking part in a sponsored rally. Marcus and his girlfriend Stacey will not have the luxury of a direct route but instead will cover an estimated 1,400 miles (one way) as part of ‘Bratislava or Bust’, a journey which will wind its way through seven countries in as many days at the beginning of August. Part of the challenge is finding a vehicle suitable to undertake this trip, as the competition rules state that it must have cost less than £500 to buy, or be older than the oldest person in the car. The pair shunned the traditional rust bucket usually entered in this kind of rally after Marcus’ father Neil Revington, of Revington TR, made them an offer they couldn’t refuse - the use of his white 1968 TR5. This does however mean that the option of scrapping or selling the car in Bratislava and flying back to the UK is no longer available – and another week will be spent safely driving back instead. The TR5 is an almost completely standard soft top model which was rebuilt in France some 10 years ago. The car retains its original fuel injection system, but fuel delivery is by a modern Bosch fuel pump. The car, known as LAW, should be used to the continental way of life as it has only recently returned to the UK after having spent a number of years ‘on holiday’ in France where it was used as a short distance touring car for holidaymakers staying at a B&B in the rural Loire Valley. It has been fully serviced by the team at TR specialists Revington TR in preparation for its return to mainland Europe, so that the only unreliable thing on the trip will be Marcus’ navigation and of course the weather. 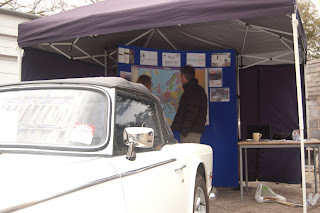 Until now, their joint rallying experience has been limited to taking part in a local motor club’s fortnightly scatters over the winter months, which gave Marcus and Stacey the opportunity to practice some of the navigational skills which will hopefully come in useful during ‘Bratislava or Bust’. Marcus has had some previous rally experience having navigated for his dad in the 2007 French Revolution Rally, where the pair managed to secure first in class and the team prize. In addition, Marcus has also recently acquired his competition B licence and is intending to take part in the Revington TR / TR Register Sprint and Hillclimb Championship, following his first hillclimb experience as a driver at the recent Triumph Day at Prescott, which was also the first real outing and readiness test for LAW. 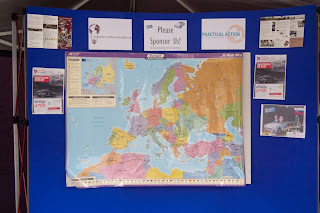 ‘Bratislava or Bust’ has been organised as a way to raise money and awareness of two international development charities – Engineers Without Borders UK (EWB-UK) and Practical Action, both of which focus on poverty alleviation and sustainable development through the application of appropriate engineering and technology. Marcus and Stacey actively volunteer with EWB-UK as the IT and Communications Co-ordinators respectively. 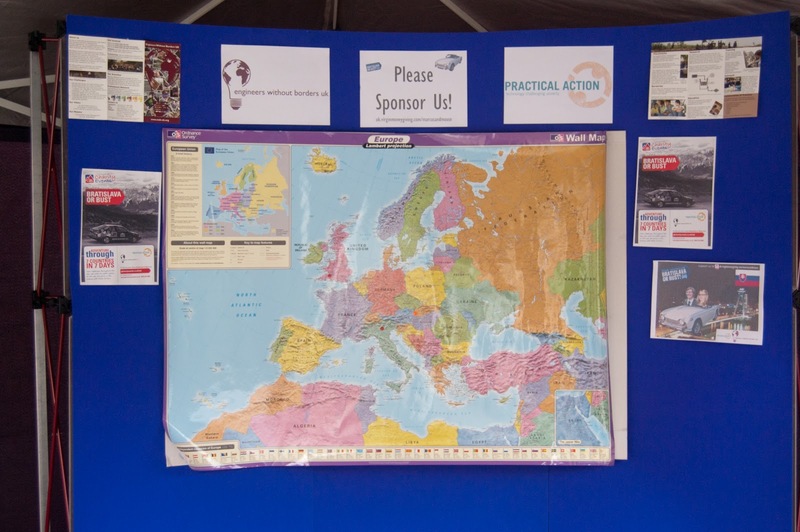 Stacey’s previous involvement also includes international voluntary work looking at clean water in Morocco, overseeing the construction of a community centre in remote Malawi and hazard resistant housing in Bangladesh. It is this kind of work that money raised by the pair will continue to support, in addition to developing young engineers so that they have the skills needed to tackle these problems around the globe, often in rural communities where access to engineering knowledge is limited. EWB-UK is run primarily by volunteers, which ensures that the majority of donations goes directly to where it is needed most – supporting research and placements in developing countries, often in areas such as improving water and sanitation or helping to set up renewable energy systems. Back in the UK, volunteers help inspire young people into a career in engineering by running practical workshops in schools and at festivals up and down the country. En route, the pair will undertake a series of challenges designed to test their navigational and creative skills against the other teams taking part in order to win rally points. The nature of these challenges, along with details of the route, are being kept a closely guarded secret by the organisers and will be released to the drivers each morning – mimicking a well-known practice on TV’s ‘Top Gear’. All that is known so far is the first day will see the teams reach Brussels, Belgium, and arrive in Lake Garda, Italy by the end of day four. The team with the most points at the end of each day, in addition to the rally as a whole will win a cash prize, which will be donated to the chosen charities in addition to sponsor money raised. 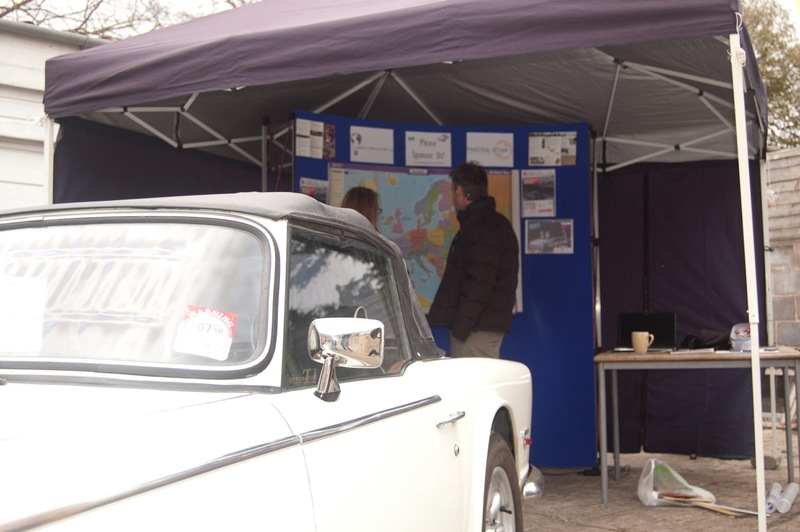 ﻿Stacey and Marcus aim to raise at least £500 through personal donations and corporate sponsorship via the sale of advertising space on the car, for which vinyls can be provided, in addition to fundraising events held locally. If readers wish to donate then they can do so by visiting their Virgin Money Giving website where all donations are gratefully received. If you are interested in having your logo on the car or making a donation in kind, please get in touch via the contact details below. This is for a great cause and we wish you both the best of luck for the trip and your fundraising. Every penny helps so I hope you get a great response.